We were engaged for a Family Law case to assess the value of a La Porchetta Restaurant. This was an interesting business to assess as the historical financials did not show much consistency in levels of profit and key expenses. There were also issues with the business falling behind in super payments which would have to be accounted for by a hypothetical buyer. Once the usual adjustments were made to the financials, we did start to see some improved consistency in the PEBITDA, however not as much as we would have liked. Applying valuation methodologies on the financials with a lower Gross Profit percentage produced a figure that failed our common sense critic of the final figure. It was felt this produced a figure too low. The higher Gross Profit Margin was more in-line with the financials for the 2014 and 2013 financial years. In addition to point 2, the higher Gross Profit Margin was more in-line with other La Porchetta businesses reviewed. Due to the inconsistencies an average of the past three years PEBITDA was adopted as the future maintainable earnings. 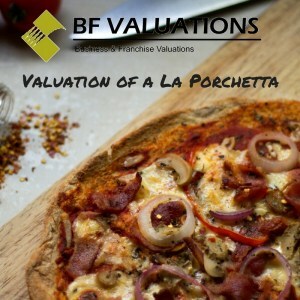 A risk rent calculation was utilised to determine a multiple which was cross referenced with both comparative sales of other La Porchetta businesses sold, and appraised by our partnered business, BF Brokers (a business sale firm). This method produced our final capitalisation figure, and therefore the final valuation figure.